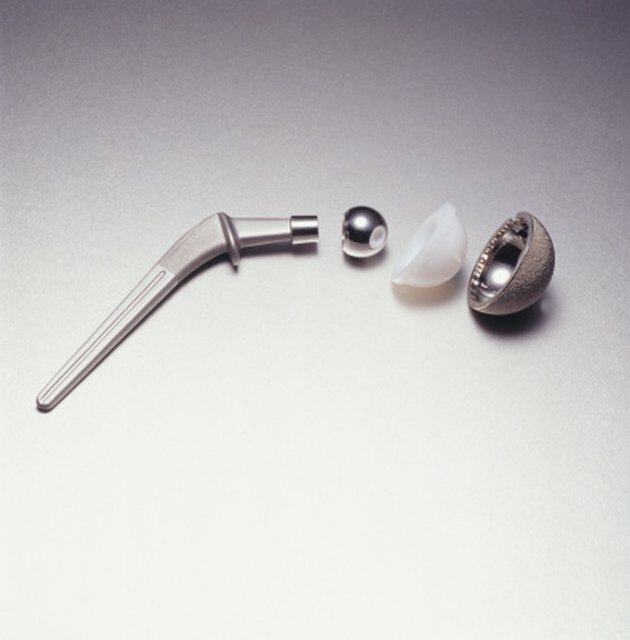 Nearly 300,000 people undergo hip replacement surgery every year in the Untied States. Patients usually prefer to replace a hip once it's been so damaged and worn down with arthritis that is causes constant pain, according to the University of Washington Department of Orthopaedics and Sports Medicine. Patients typically return to full mobility following a period of physical therapy and rehabilitation that include low-impact exercises such as that afforded by recumbent bikes. According to the University of Washington, hip replacements in the past were reserved for the elderly and infirm who usually did not expect to restore full mobility capabilities. As more and more procedures are performed on an increasingly younger population, physicians and rehabilitation therapists rely more heavily on rehab equipment that can help patients return to full use of their legs and hips and return to an active lifestyle. Exercise immediately following hip replacement surgery is vital for a patient's recovery, according to the American Academy of Orthopaedic Surgeons. Exercises should start out slow and gradual, and increase as the patient becomes stronger. In early rehabilitation, patients should perform 20 to 30 minutes of exercise two or three times a day to prevent atrophy, increase muscle tone and maintain flexibility. A recumbent bike is one built with the seat parallel to the pedals so that the rider's legs are extended forward and less pressure is applied to the hip joints and lower back. According to the American College of Sports Medicine, a recumbent stationary bike is more stable and does not require the rider to maintain his balance. Effort can be placed on the legs and smooth movements of the hip joints without fear of bending or twisting the new hip joints. Bike riding should begin when the swelling from the surgery abates and early mobility exercises, such as walking and leg lifts have been mastered. The seat should be set far enough from the front of the bike so that your legs can reach full extension. Set the bike for backwards pedaling to warm up. Once the pain of the movement subsides, you can switch to forward pedaling and continue for 10 to 15 minutes twice a day. Stop pedaling if pain persists, however, to avoid complications. A stationary recumbent bike has a wider seat than an upright cycle, according to the American College of Sports Medicine, providing additional comfort to those fresh out of surgery. A recumbent bike provides additional benefits including upper body workouts by using handlebars attached to the bike and increased resistance as you gain strength. Both length of riding time and level of resistance can be adjusted as your therapy continues.